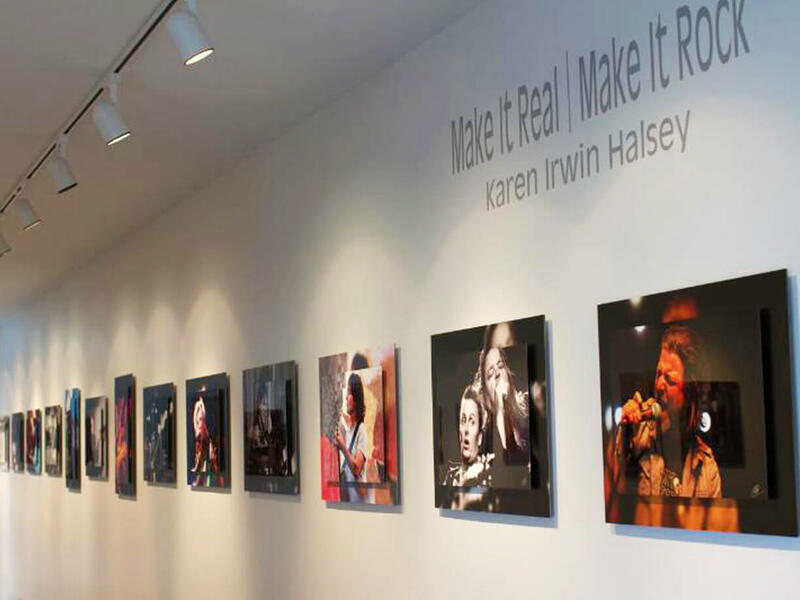 Karen has been capturing live music in Seattle and around the country for years. Her ability to capture the experience and energy makes for a truly unique show that gives attendees a backstage pass and front row look into a variety of concerts. Super appreciate you helping us out. I’m happy to have found The Color Group and will certainly be using you as our printer for all future projects. 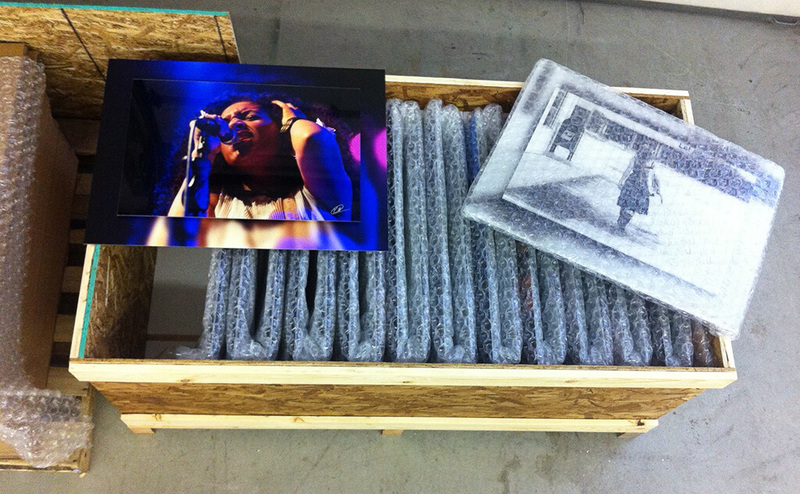 Crating & carefully shipping these beautiful Double Float Mount PlexiPrints® to the Mesquite Arts Center. Check out our PlexiPrints® page to learn more about our Double Float Mounts.